Lismore will return to racing on Tuesday, October 11 after being closed for four months after flooding of the town in June. The resumption of racing comes as a relief to participants and supporters in the region who have advocated for track reinstatement for some time. After countless hours of work by staff, contractors and volunteers, the track was cleared by GRNSW officials on Tuesday, October 4. A free trial session will be conducted on Wednesday, October 5 from 8am with a second session to commence at 6pm. 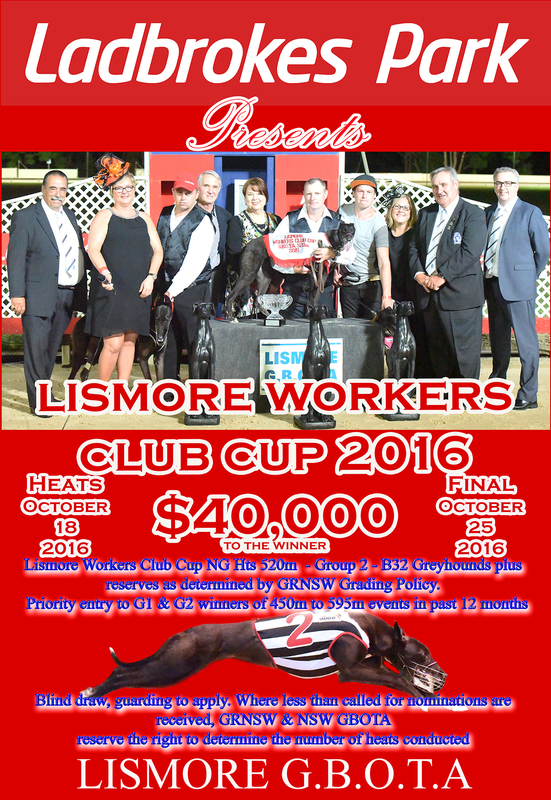 Nominations for Lismore's October 11 meeting will close at 9am on Thursday, October 6 with GRNSW. Participants are also reminded that thanks to the support of Casino GRC, Local MP Thomas George, Ladbrokes, Staff and Volunteers the work on the track has been completed in time to allow the Group 2 Lismore Workers Club Lismore Cup to commence as scheduled, with heats on Tuesday, October 18.